Do you know what we want right now? A tall sparkling sip of pop. We can imagine it, it's a tall glass of soda that belongs in the seventies. It would be cold in our hands, ready for some greedy consumption. 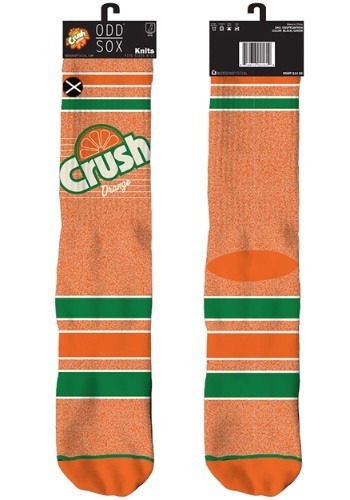 Crush represents the syrupy goodness that soda pop can be. Before the days of fake, diet drinks this drink could be seen in a glass bottle with dew dripping down, pooling on a Formica table top. It's the kind of drink you'd find in your Grandma's old-fashioned ice chest or in one of those thick topped coolers on a summer day. 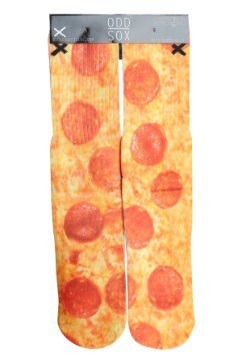 If you're into the retro look you'll love pulling on these refreshing socks. They'll look awesome with a pair of seventies athletic shorts. If you want to keep your orange soda love to yourself you can pull on your socks under your jeans, walking around like you've got a refreshing drink in your hand all day. 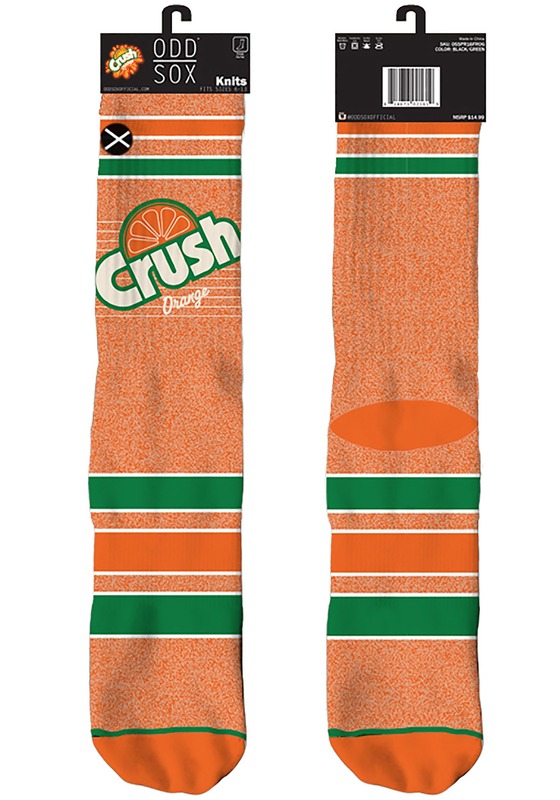 In socks that are a fresh green and cheery orange, you'll be ready to celebrate a time gone by, a sweet and cool time. The time of the delicious orange soda, Crush!